Cityscape photograph of the beautiful concrete arches of the Hell’s Gate Bridge viaduct on Wards Island in New York City. Overhead is the trackage of the bridge painted in Hell’s Gate Red. Spanning the East and Harlem Rivers the bridge forms a critical rail link between New England and the rest of the United States. Construction of the bridge began in the early Twentieth Century and was completed in 1917. 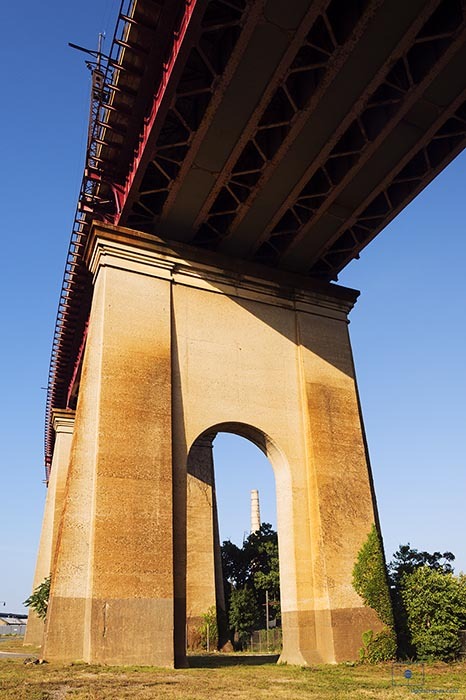 The late afternoon sunlight shows the warm tones of the concrete piers of the viaduct as they contrast with the deep blue of the sky.